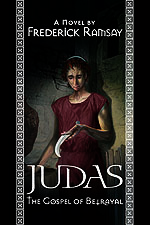 The boy Judas Iscariot struggles to understand his mother’s god. Despairing, he becomes a survivor in the streets of the first century Roman empire. Later, determined to avenge the wrongs committed against his mother and sister, he returns to join the rebels led by Barabbas, only to be betrayed again. Broken, he is brought to the Zealots at Qumran and eventually to the Rabbi Jesus. During this journey he discovers God and is baptized into messianic anticipation. His enthusiasm for revolution leads him to out-guess God. He proceeds down a path that will result in a difficult and fateful choice. 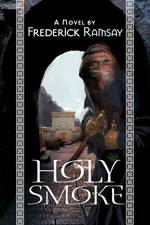 This entry was posted in Jerusalem Stories, The Books. Bookmark the permalink.